A very belated Happy New Year from the E-Rider team! 2017 was a fantastic year for us, and we want to take this opportunity to thank you for your continued support. 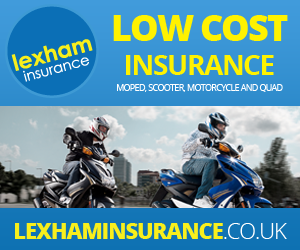 Over the last 12 months, we’ve continued to expand our product range to ensure you are offered the best electric bikes and electric mopeds available in today’s market. The most recent edition being the stylish, sporty and highly affordable E-Rider Rondo electric bike, which it’s fair to say has been very well received. Highlights also include travelling down to London so we could show you the futuristic and ultra-quick Moda electric moped first hand in our latest product video. Check out the video here if you haven’t seen it already and let us know what you think! We also ran our highly popular seasonal sales, bringing you the best bargains we possibly can to ensure the electric revolution continues to pick up the pace in the UK. So, in true E-Rider fashion, we’ve started 2018 as we mean to go on, by offering you huge deals in our big January Sale! You can still take advantage of the Sale and get your hands on any E-Rider in our range with an additional £400 off! So whether you want to get an ebike to shorten your commute time in this awful January weather, or you want to pick one up to enjoy some Spring riding in the not-so-distant future, we’re bound to have a model for you! Take a look at our full range here. Once again, thank you for your support and custom, we hope to make 2018 an even better year. Oh, and be sure to keep an eye on our Facebook and Twitter pages for more deals, products and news on all things E-Rider! This entry was posted in Blog, Uncategorised. Bookmark the permalink. E Rider Shames The Government!!! Get the Right E-Rider for You….